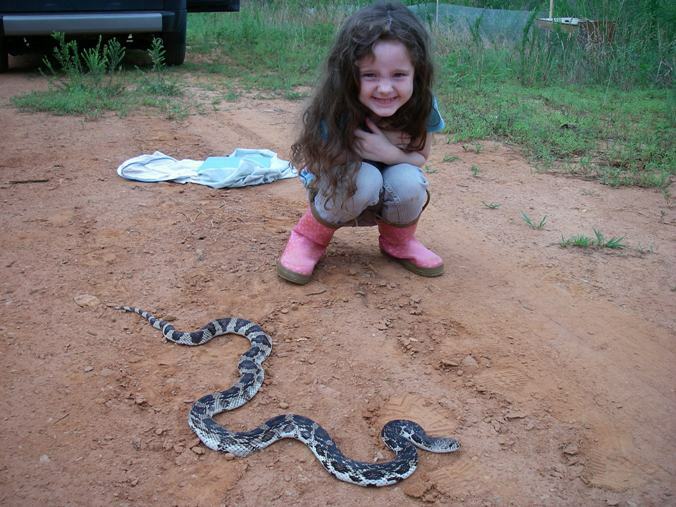 Kids love snakes if you give them a chance to do so! Check back here in the next few months as we are in the process of developing some resources for teachers to help them meet Georgia standards for the sciences. These resources will be free and downloadable. We will also be glad to visit your classroom with live pine snakes and teach your students about the species’ ecology and issues related to their conservation.